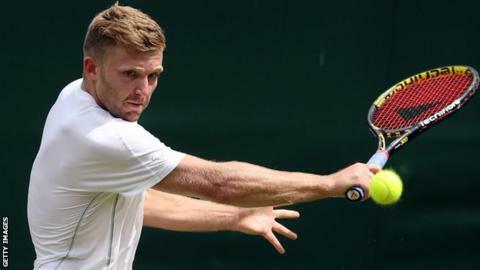 British world number 554 Dan Cox recorded a shock win over 16th seed Thiemo de Bakker in the first round of Wimbledon qualifying in Roehampton. The 25-year-old recorded a 6-1 6-2 win over the Dutchman and will now play Dennis Novak of Austria. Fellow Briton Lloyd Glasspool's hopes ended with a 6-2 7-5 defeat by American Dennis Novikov. There are three rounds of qualifying to reach Wimbledon, which begins on Monday, 27 June.